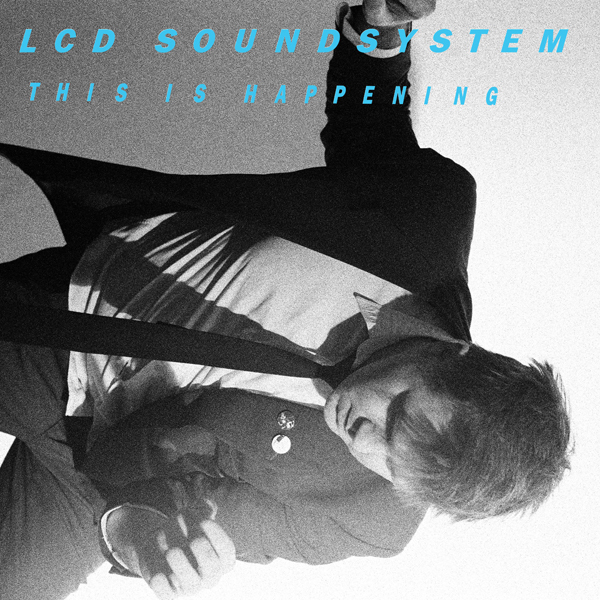 So many great new albums have come out since my last post I barely know where to start, but a good place would probably be This Is Happening, the new LCD Soundsystem album that came out May 17. If you don’t have a copy yet, that’s an error I suggest you correct as soon as possible. This Is Happening, the follow up to their 2007 masterpiece Sound of Silver, is an amazing achievement in its own right and a serious contender for my favorite record of 2010. As many artists tend to do when following up an album many deemed “perfect,” they try to rise to the occasion by expanding their sound and taking creative chances. And as often happens, the resulting record is not as consistent as its predecessor, but its high points exceed almost all of their creator’s previous successes. “I Can Change” and “All I Want” are textbook examples of these highs, and currently my #1 and #2 favorite songs of the year. Brutally funny lyrics and obscene beats have long been hallmarks of the LCD sound, but on “Dance Yrself Clean,” their powers are at their peak. Recently, I threw this on while driving home from a concert with a friend and when the beat dropped, right on cue, he said, “Dude, what the hell is this?” Upon hearing “Pow Pow,” he made his next most telling comment: “So these guys are pretty into the Talking Heads huh?” The song is basically a sequel to “Losing My Edge,” but with the Murphy banter taken even further, and at 8 minutes and 23 seconds (only the third longest on the album) it does come across as a little indulgent given its lack of musical changes. It doesn’t bother me, but then again, I’m a Phish fan. Music industry commentary “You Wanted a Hit” and album closer “Home” are both excellent tracks and fit in nicely with “All I Want” and “I Can Change” bringing an overall cohesion to the new material. There’s a lot more singing than on previous efforts and it’s a resounding success. It makes going back and listening to Sound of Silver an odd experience because I find myself missing singing that I previously didn’t even know they were capable of. The other major change is the heavier influence of 70’s disco and 80’s synth. In a recent interview, Murphy said that he made his career off of cool music, but that this time around he tried to use more elements of the cheesy and uncool music he liked as a kid. These new elements are best encapsulated on the aptly-titled “I Can Change,” a dizzying new height for the genre-bending experiment that is LCD Soundsystem. This may be their last album, and if so it was a triumphant way to end a solid run of albums that will be heavily influential for generations to come, but if not, “I Can Change” is a tantalizing hint at the amazing directions this group could still go. The group is currently on a world tour that will presumably be their last. I got the chance to see them back in May at Terminal 5 in NYC on the first night of a 5 night stand that was the talk of the town. If you’re interested seeing them live there’s not much time left, but they will be playing this week at the Disco Biscuits’ Camp Bisco festival in Upstate New York and at the Pitchfork Festival in Chicago. I've certainly been curious when you'd write a review of this album. “Dance Yourself Clean” hits so hard it makes me feel dirty and I agree with you in that after thoroughly enjoying this album I go back to Sound Of Silver and my hair stands on end. Word.